Whether you're looking for a new chain drive, belt drive, or jackshaft garage door opener for your home in York, Mechanicsburg, or Harrisburg, our team at Baker Door Company has exactly what you need! 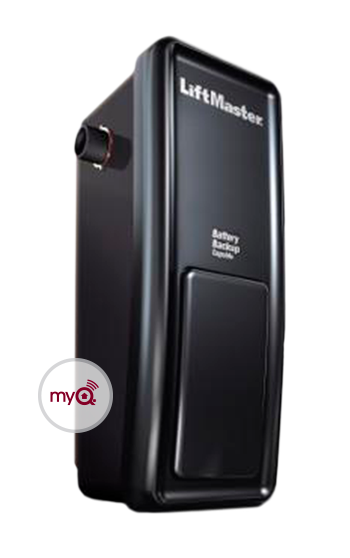 We offer a variety of affordable and reliable residential garage door openers from LiftMaster. Please see our most popular models below and contact us today if it's time for a new garage door opener or you need service & repair! Chain drive garage door openers: There's a good chance that when you think of a garage door opener, you're picturing a chain drive model. This type of opener is among the oldest and most common for residential use, and is well known for providing many years of reliable service at an affordable cost. Operated by a chain-guided trolley, they offer the horsepower and efficiency to raise and lower your garage door in a matter of moments. Belt drive garage door openers: If you don't want to be disturbed by the sound of your garage door opener, choose one of our belt drive models from LiftMaster. These openers use a synthetic belt instead of a chain to operate the door. Their near-silent performance and minimal need for maintenance make them a great choice! 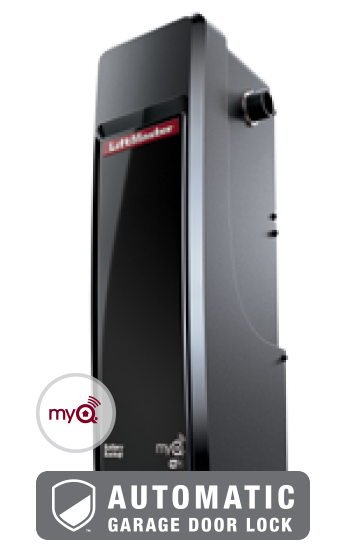 Jackshaft garage door openers: The quietest and smallest profile option for your home! Mounted on the wall instead of the ceiling, these openers also solve any headroom concerns that you may have in your garage. The dependability and unobtrusive style of a Jackshaft opener can be a great combination. Looking for more details on our residential garage door openers? Please see the following resources! How much horsepower does the motor need? How much headroom is required above the garage door? What can I do to reduce the noise of my garage door opener?